Wrapping your head around the 3 sides of the exposure triangle can be a bit overwhelming at first. I will try and make it easier by explaining the 3 sides separately starting with aperture. Aperture relationship can be remembered by the smaller the aperture number the smaller depth of field in the photo. In this photo of David his eyes are in focus but an inch back or forward his nose and ears are blurred. This is a shallow depth of field caused by a very small aperture. If your SLR camera came with a kit lens it probably has an aperture of 3.5-5.6, the minimum opening changes depending on your focal distance. Even with a kit lens you can achieve similar results if you understand aperture settings. 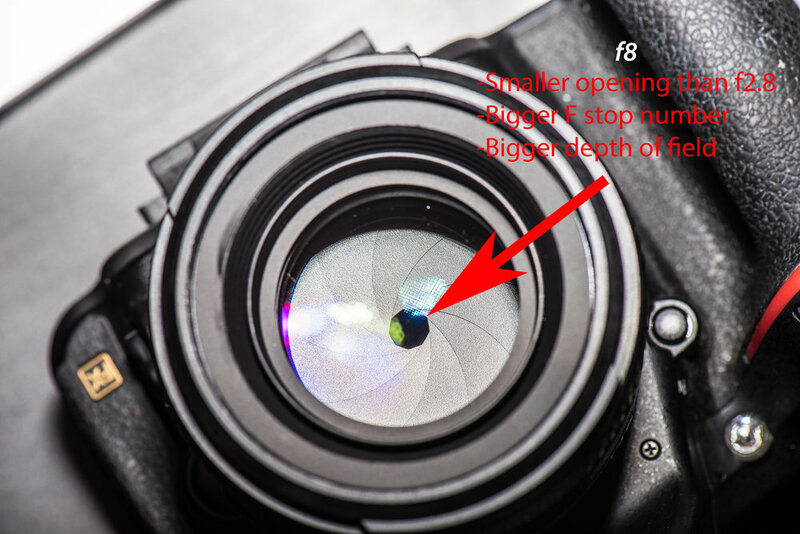 Notice how as the aperture becomes more narrow the shutter speed and ISO change to compensate for less light hitting the sensor. I was hand holding the camera at this time and the lighting was coming in through the window, not the most elaborate set up but allows for an example of depth of field. Any questions or comments please leave down below and I will respond as soon as possible. Taking your Photography to the next level.